What a lucky girl I’ve been this month. 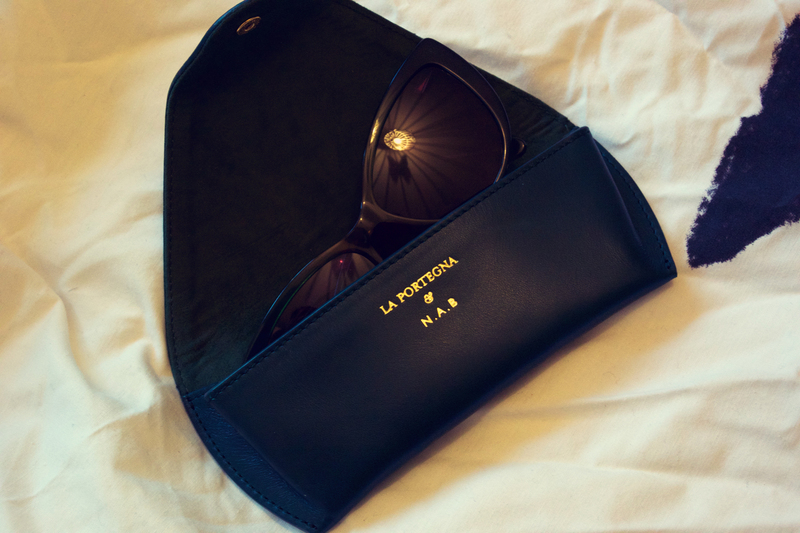 Last week, I picked up two new pairs of glasses from the opticians (which are killing me, but that’s another story) and what do I receive in my NAB parcel this month, but a BEAUTIFUL glasses case from La Portegna. Now technically, they have sent a glasses case before but I’m going to let them off because they’re quite different. The first one was beachy casual, whereas this one is more sophisticated elegance. 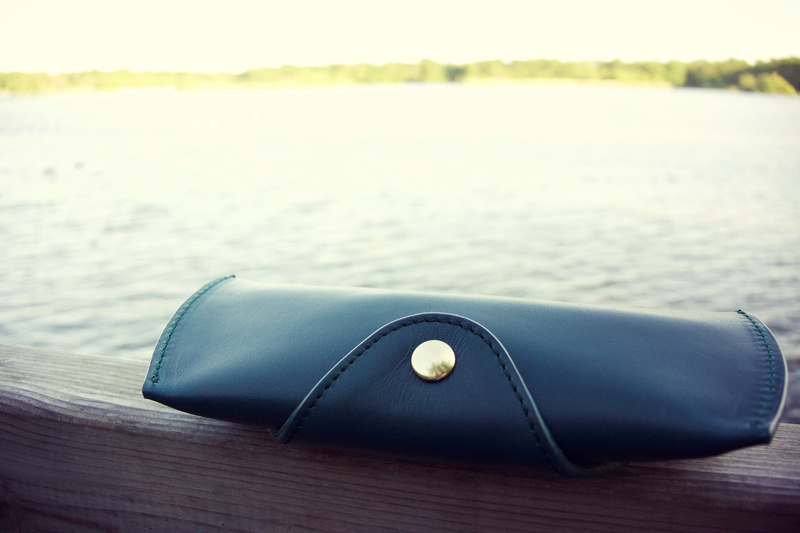 The case is made of gorgeous soft leather in racing green (probably not quite clear enough in my photo because of my ridiculous Curves layers). From the info they sent, I could have had navy or green, and I think I might have preferred navy. Nothing against the green, but it’s not my favourite colour. But even with that minor quibble, I still love the case. Even better, La Portegna will monogram the case for free for me if I take it to their store, which I am very tempted to do. The only worry I’d have in visiting their Marylebone Road store is that their bags are so stunning that I might opening weep in the shop, which would be awkward for everyone. Ooo, fancy pants! You should monogram it with something silly. Or not. It might out-balance the fancy-pants-ness of it. No, I think I’d need to do proper grown-up initials. I can’t be an adult with silly initials – that’s the law.